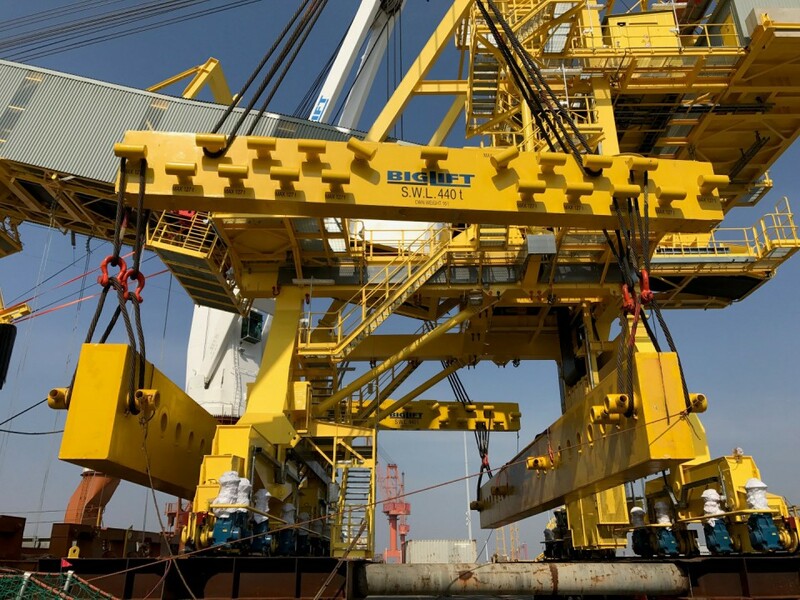 Happy Delta loaded a new ship unloader of 530 mt in the port of Qidong, China, for FL Smidth. 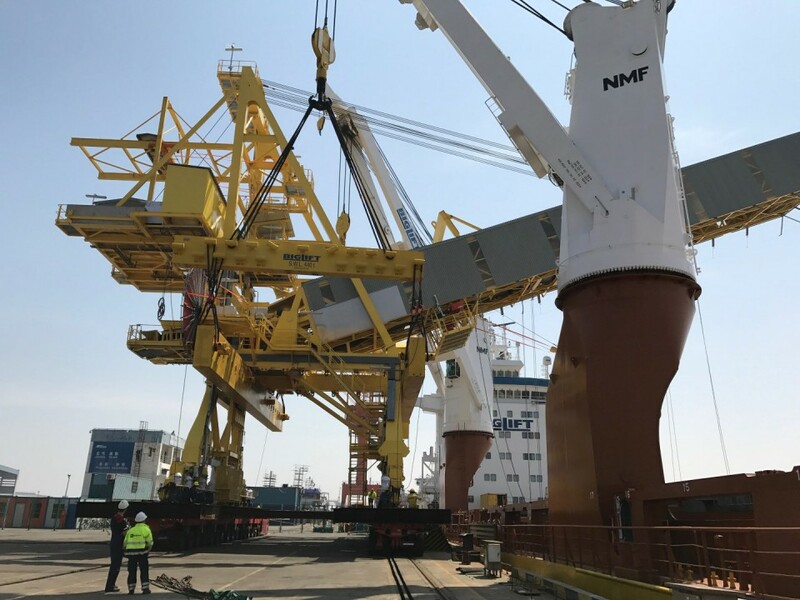 The 57.9*25.5*41 m unloader was loaded by the ship’s own two heavy lift cranes onto the tween deck for passage to Kamsar in Guinea, est Africa. 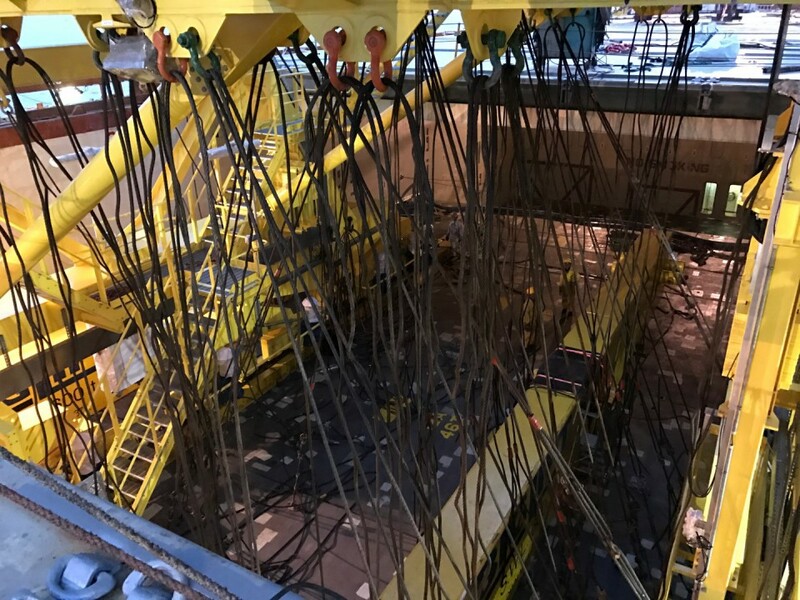 This new shiploader had to be very light, due to the internal strength of the quay at its destination. 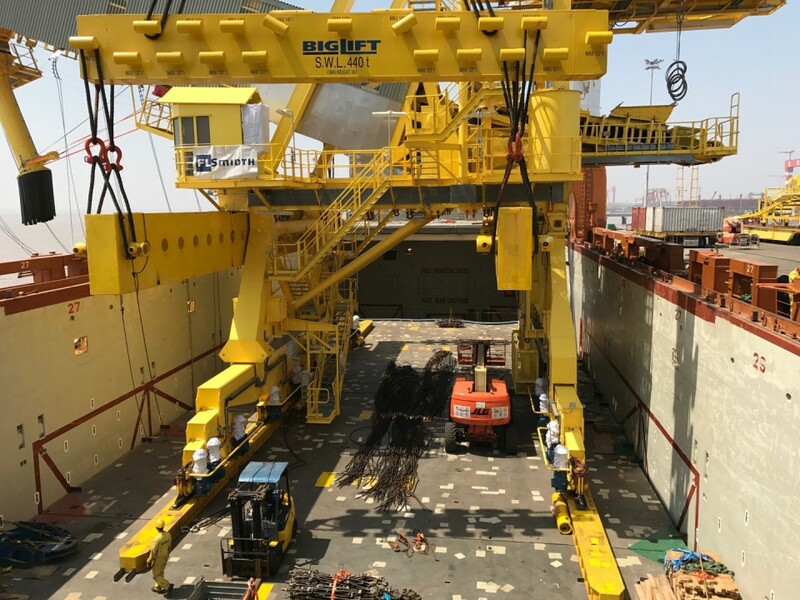 Light weight makes for more delicate construction so the engineers of BigLift were asked in the design phase of the crane to assist in its construction, and lifting and seafastening possibilities. 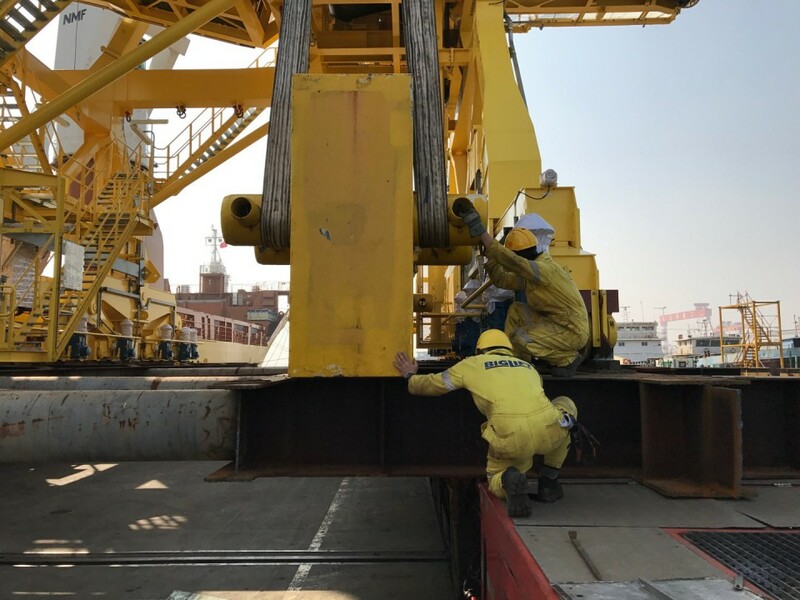 At Kamsar, the new unloader was placed in its rails and in the same movement, so to say, the old one could be taken on board to be taken away for the breakers yard in Belgium. 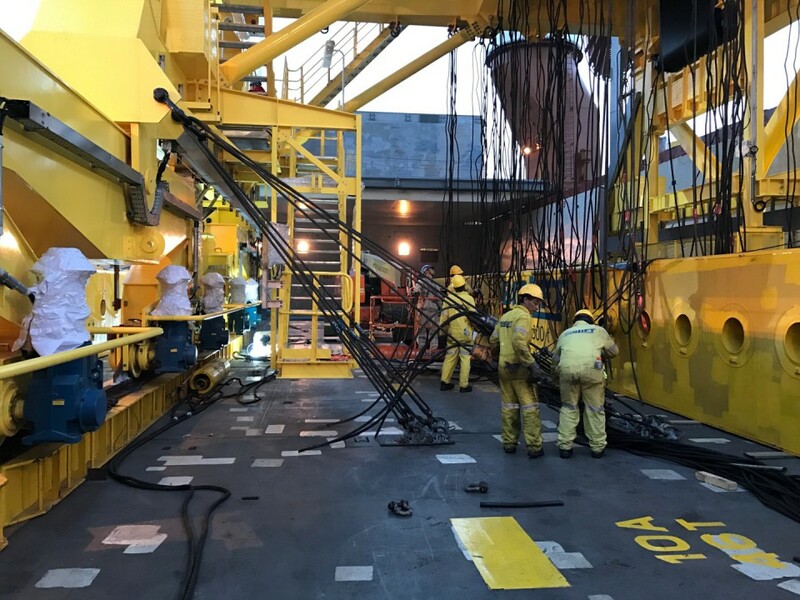 As details of old equipment like that have often disappeared in the mists of time, data like exact weight, and very importantly, centre of gravity, must be estimated. For such cases, BigLift has designed the Synchoist system, which is a great help when few details are available. (See Synchoist insert). 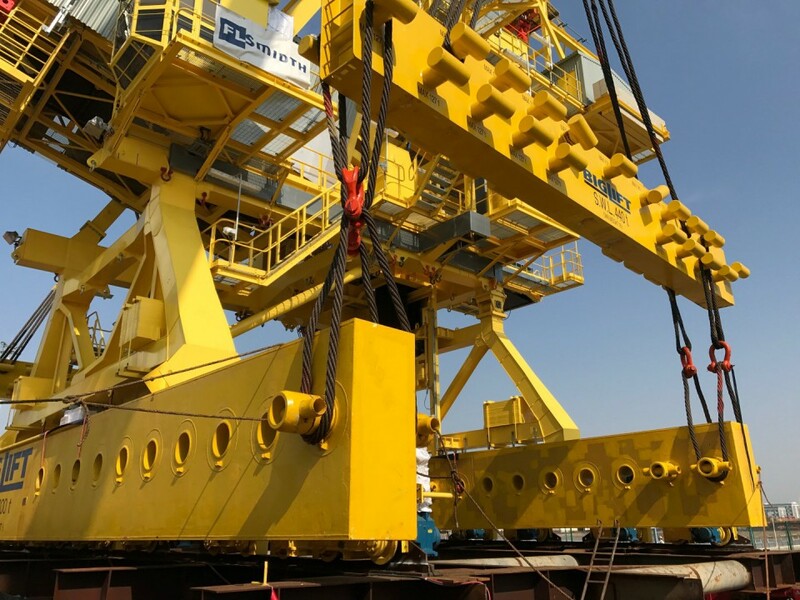 The old unloader, which was “only” 27.7*18.7*41 m and weighed 375 mt and came with a tripper car of 24*5*25 m weighing 25 mt, was loaded by Happy Delta and positioned on the same rails in the tweendeck that had carried the new crane to Kamsar.